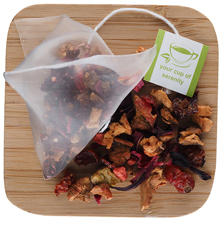 Get the delicious taste of goji berries and green tea with our Goji Berry Green Tea. A blend of goji, green tea, and fruits provides a delicious boost of antioxidants that play a key role in a healthy lifestyle. 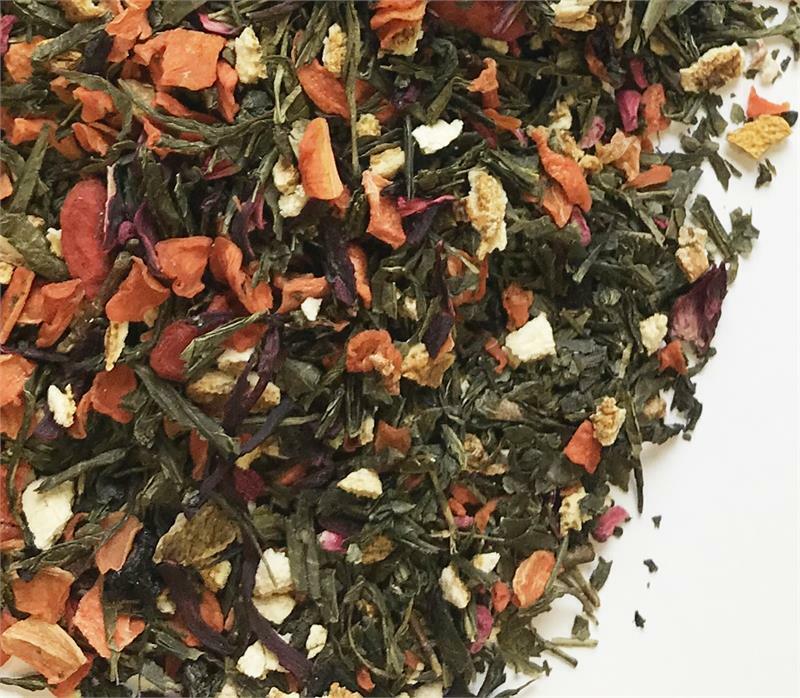 Drink your garden with this healthy and satisfying blend of green tea and yummy goji berries, highlighted with orange peel, black currants, raspberries, and - prepare to be amazed - carrots! Who would think that something so healthy could taste so good! 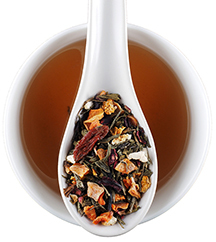 This tea is in low caffeine and packed with antioxidants and vitamins. Share a cup with your fellow tea drinkers and watch the amazement in their eyes when you tell them the ingredients.